PF-612 is Water based Two-layer Marble-Coating (Starry Sky). It is widely applied to internal coating of non-stick kitchenware such as aluminum-made frying pans, woks, stockpots, electric stewpots, electric bake wares and cake molds. PF-611 is Water based Three-layer Marble-Coating (Moss style). It is widely applied to internal coating of non-stick kitchenware such as aluminum-made frying pans, woks, stockpots, electric stewpots, electric bake wares and cake molds. C-109 is two layer black ceramic coating, smooth hand feeling, excellent surface performance and chemical resistance. Superior initial non-stick property, easy to clean. It’s ideal for internal coating and external coating of frying pan, stock pot, baking tray, electric fry pan and inner pot of electric cooker etc. C-108 is two layer ceramic coating, smooth hand feeling, excellent surface performance and chemical resistance. Superior initial non-stick property, easy to clean. It’s ideal for internal coating and external coating of frying pan, stock pot, baking tray, electric fry pan and inner pot of electric cooker etc. PF-610 is Water based Three-layer Marble-Coating (Caffa style). It is widely applied to internal coating of non-stick kitchenware such as aluminum-made frying pans, woks, stockpots, electric stewpots, electric bake wares and cake molds. C-104 is be used on non-stick cookware and household appliance, such as aluminum and stainless steel fry pan, wok, soup pot, rice cooker, electric pressure cooker, electric saucepan, electric baking tray, cake mould etc. 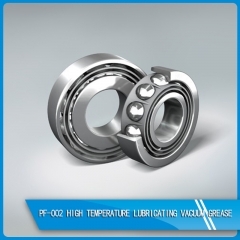 PF-002 is a high performance lubricant and sealant which can be used with confidence in extreme environments, ultra-high vacuum conditions and in the presence of gaseous and liquid oxygen at elevated temperatures.